The Environmental Protection Agency and the US Navy have reached a tentative deal about the Red Hill fuel storage facility. Early last year an estimated 27,000 gallons of jet fuel leaked from the tanks, igniting concerns about threats to drinking water. Through an Administrative Order on Consent (AOC) the Navy has tentatively agreed to install improved technology for fuel leak detection and prevention with costs expected to run into the tens-of-millions of dollars. The EPA and DOH will approve all work performed by the Navy, and monetary penalties may be imposed in the event the work is not conducted in accordance with the AOC’s deadlines and requirements. A feasibility study will be completed within the next two years to explore long term solutions to the leak, as well as potential health risks to drinking water. Each of the massive underground storage tanks that are in-service will be upgraded in phases over the following 20 years. In the meantime, the Navy will increase the frequency of its tank tightness testing to once a year instead of every other year. Dean Higuchi is a press officer for the Environmental Protection Agency. In a written statement, The Navy responded saying "The AOC/SOW provides an engineering-based roadmap for the operation of Red Hill, and the Navy and DLA are ready to move forward within the framework of this consent order. In doing so, we can improve the protection of drinking water, while preserving a strategic asset." The EPA has begun a month long public comment period for the AOC proposal….and will finalize the agreement depending on the feedback it receives. 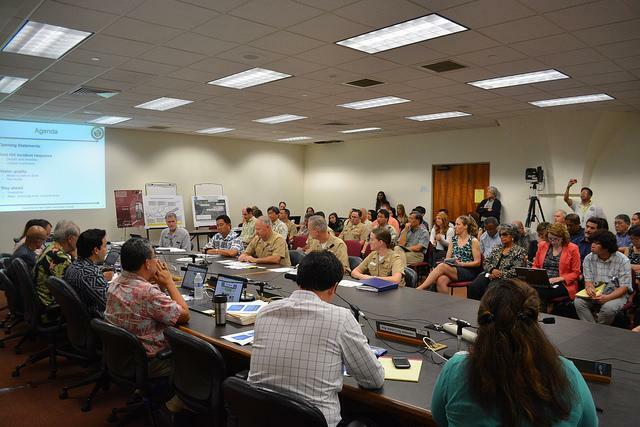 A public meeting to discuss it will be held on Thursday, June 18, 2015 from 6:30-8:30 pm at the Moanalua Middle School cafeteria, 1289 Mahiole Street, Honolulu. For more information and to submit comments, please visit: http://www.epa.gov/region9/redhill/ and http://health.hawaii.gov/RedHill. After reviewing public comments, EPA and DOH may sign the AOC to make it effective, or may seek to modify it based on information received during the comment period. Red Hill, constructed in the 1940s, is a unique facility in the United States, consisting of 20 underground bulk fuel storage tanks built into a mountain hillside. Each tank is 250 feet tall and 100 feet in diameter, constructed of steel and encased in a minimum of 2.5 to 4 feet of concrete surrounded by basalt bedrock. Each tank has a fuel storage capacity of 12.5 to 12.7 million gallons, giving the facility a maximum capacity of approximately 250 million gallons. Eighteen tanks are currently active, and two are not in use. The Navy released information movie on Red Hill. 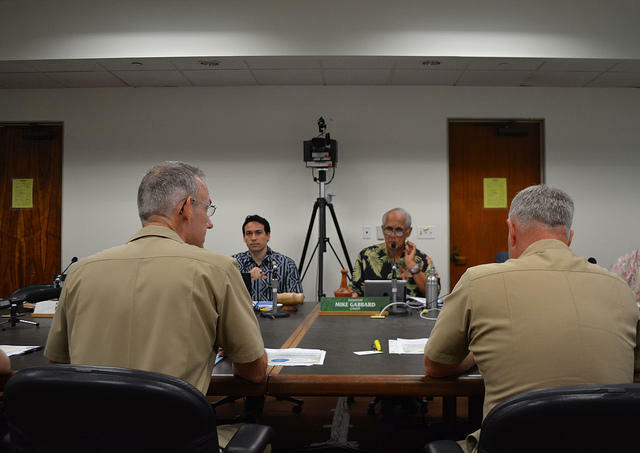 A draft report by the Red Hill Facility Task Force is urging the Navy to double line all of its underground fuel tanks in the next 10 years. But navy officials say that timeline is unreasonable. HPR’s Molly Solomon has the story. 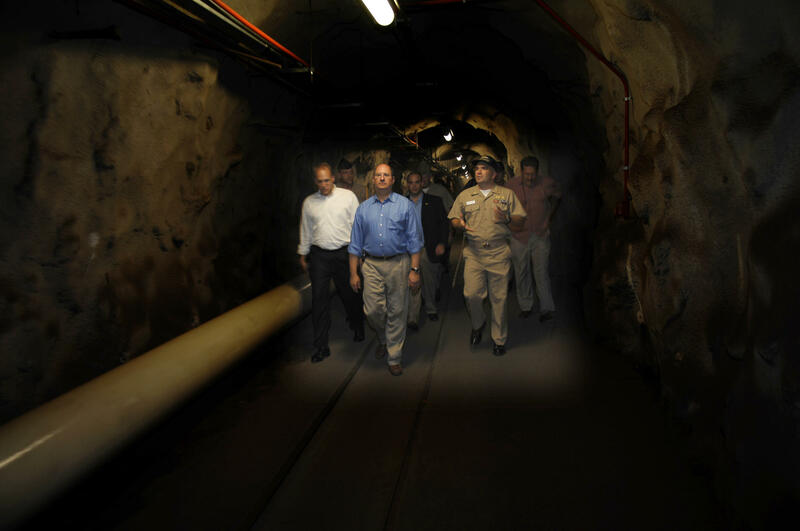 More defects have been found in the Navy’s Red Hill fuel tank. They could be the source of a leak earlier this year that caused the release of 27,000 gallons of jet fuel. It’s been almost 2 months since a fuel tank sprang a leak at the Navy’s Red Hill facility, resulting in the release of 27,000 gallons of jet fuel. Water samples collected from the area show the water is safe to drink, but it’s still not clear how the leak started and what the long term impacts might be. HPR’s Molly Solomon has more.